Matthew Parris once wanted cyclists killed, now he hints at axe for Cycling England & says cyclists "do not pay road tax"
In 2008, The Times columnist and former Tory MP Matthew Parris was slapped over the wrist by the Press Complaints Commission after he used a December 2007 column in The Times to write about the decapitation of cyclists. Parris had started his article thus: "A festive custom we could do worse than foster would be stringing piano wire across country lanes to decapitate cyclists." 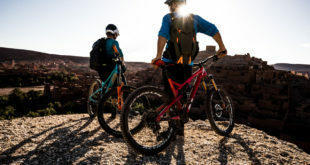 After an outcry from cyclists, many of whom pointed out that such acts of violence have previously taken place on rural trails, Parris apologised. He said: "I offended many with my attack on cyclists. It was meant humorously but so many cyclists have taken it seriously that I plainly misjudged. I am sorry." However, he has again poked out at cyclists. In a column for The Spectator he said Cycling England, was only "temporarily funded by the Department of Transport" and that "future state funding is not assured." Is Parris privy to Department for Transport information that others aren’t? If he is, he’s not terribly hot on accuracy. He called the DfT the Department of Transport: it’s ‘for’ not ‘of’. And, seemingly ignorant of the CTC (founded in 1878) and other cycling bodies, he called on cyclists to form "a sort of AA of cycling". He suggests this new body would pay for and build cycling infrastructure. Parris also made the classic error of claiming cyclists "pay no road tax." BikeBiz executive editor Carlton Reid founded iPayRoadTax.com last year to combat such ignorance about how roads are funded. ‘Road tax’ is 74 years dead. It morphed into Vehicle Excise Duty, a tax on motorised vehicles not a user fee for paying for roads. "The estimated cost of this work, [a sign said], was £2.6 million. I don’t question the estimate. The Peak District National Park are not spendthrifts. 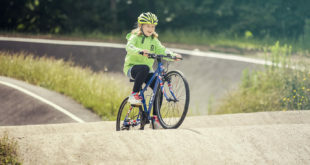 Though managing the project, they are receiving substantial help from Cycling England, a body itself temporarily funded by the Department of Transport, though I understand that future state funding is not assured. "Couldn’t cyclists themselves be more involved in the funding of Cycling England — some £160 million per annum? Cyclists have a strong sense of community and are good at organising (as I know to my cost, having once upset them). I would hazard a guess that as an overall group they do not represent a particularly disadvantaged section of society. They pay no road tax. 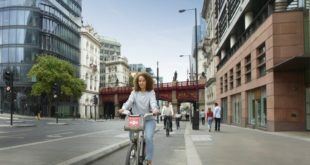 Cyclists do already support a range of cycling organisations, local and national, out of their own pockets: why not this one, if they want it to continue?" In a forum comment to The Spectator, Carlton Reid wrote: "Fairies, Mr Parris. Fairies. "As a group, cyclists are extremely good at organising in a self-help way. For instance, there are lots of loosely-organised mountain bike trail building groups. Some are known as ‘trail fairies’ because they do lots of work but are rarely seen. "Matthew’s ignorance extends into matters of taxation, too. ‘Road tax’ was abolished in 1937. Motorists do not pay for roads, everybody pays for roads. Motorways and trunk roads are paid for via general taxation and local roads are paid for by council tax." Pointing out a key flaw in Parris’ ‘self-help’ argument, another forum commenter said: "How about getting car drivers to club together to pay for and help to build bypasses?"